Hope Miller is offered the plot of land behind the Me, Myself, and Pie shop to start a garden. Excited, she will finally have space away from her four sisters. Everyone in town seems to have an opinion about what she should grow and how she should grow it. Jonas Sutter is a widower schoolteacher. He asks Hope if his students at the Amish school can help turn the plot into a community garden. If she agrees, will she ever get the peace and quiet she craves? Will she get anything to grow? When Hope Miller is offered the plot of land behind the Me, Myself, and Pie shop to start a garden, she jumps at the chance. Finallysome space away from her four sisters! But everyone in town seems to have an opinion about what she should grow and how she should grow it. When the widower schoolteacher, Jonas Sutter, asks if his students at the Amish school can help turn the plot into a community garden, Hope only halfheartedly agrees, wondering if she will ever get the peace and quiet she craves. And will she get anything to grow? Tricia Goyer is a busy mom of ten, grandmother of two, and wife to John. A USA Today bestselling author, Tricia has published over 60 books and has written more than 500 articles. 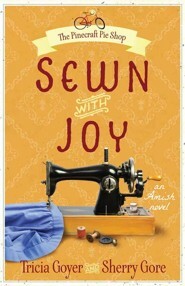 She's well-known for her Big Sky and Seven Brides for Seven Bachelors Amish series. For more information visit Tricia at www.TriciaGoyer.com. Tricia, along with a group of friends, also runs www.NotQuiteAmishLiving.com, sharing ideas about simplifying life. 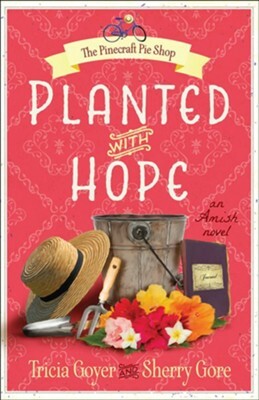 "Reading Planted with Hope by Tricia Goyer and Sherry Gore is a delightful, poignant, and satisfying experience! There are no characters in this novel; only dear friends whose lives are unfolding before you. Each friend is developed so well that you feel their pain and cheer at their triumphs." 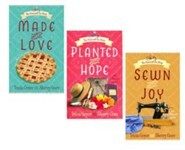 "Planted with Hope is the delightful second installment in the Pinecraft Pie Shop series by Tricia Goyer and Sherry Gore. Tricia and Sherry make a great team as they combine their individual talents and strengths to write this series. The unique Amish setting of Pinecraft, combined with the interesting history of World War II victory gardens, provide an enjoyable backdrop for this story of hope and love." "'Hope' as a person and 'hope' as a feeling, lend many twists and turns to the plot of this book. I love how Hope struggles with her many emotions and how the hope of finding new happiness, play out in this book. 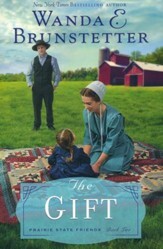 I would highly recommend this book to anyone who likes to read the Amish genre, as I couldn't put it down until I had finished it." 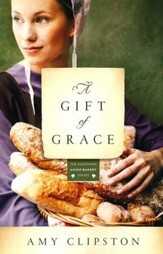 "I really enjoyed this faith filled, inspiring story... I also really enjoyed all of the delicious recipes included in this book, and look forward to making them soon! 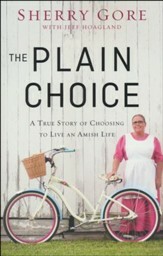 I highly recommend this book to everyone, especially those who enjoy Amish fiction." 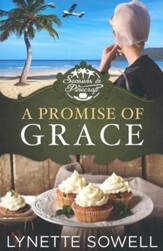 "I've wanted to travel to Pinecraft, Florida to see the Amish/Mennonite community there for quite some time and this book was so wonderfully descriptive that I felt like I was actually there... This book truly offers hope to the characters and to readers who apply its truths." "I would highly recommend this book. Hard to put down!!" 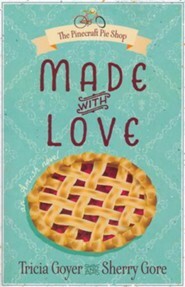 "...In addition to a rich story, wonderful recipes are tucked between chapters." I'm the author/artist and I want to review #2: Planted with Hope.